M391 at 226 Washington Street (17 Battery Place), Manhattan: is a 5,000-square-foot facility with a 3,000-square-foot rooftop play area. The center is on the second floor of an existing high-rise mixed-use building and provides 108 seats. The school has a separate secure street level entry. Q381 at 168-42 Jamaica Avenue, Queens: provides 126 seats in a 12,164-square-foot facility located within a newly constructed single-story storefront building. A 3,100-square-foot playground is at the rear of the building. Q387 at 100-05 Springfield Boulevard, Queens Village: is a 16,000-square-foot facility converted from a Lutheran school that has been closed for a few years. The center includes a 4,600-square-foot playground and will serve 162 children. R068 at 1 Teleport Drive, Staten Island: a 17,000-square-foot facility in the ground floor of an existing 4-story corporate office building. Eight classrooms provide 144 seats. The adjacent playground contains 3,200 square feet and serves as a private entry to the school. MDSA also is designing a pre-K for the New York School Construction Authority in Brooklyn – a ground-up project in the community of Bay Ridge/Hamilton Hills which will provide 14 classrooms for 252 children. 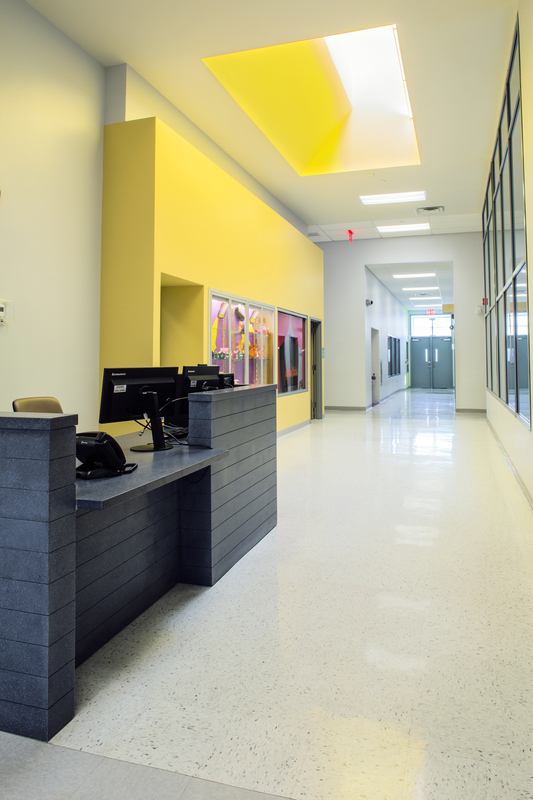 The firm’s extensive work for the School Construction Authority includes Pre-K through grade 12 schools, among them the recently opened PS340, located in the lower six floors of the former New York Foundling Hospital building in Chelsea and PS96 located in the Bronx. “We really enjoy working with the SCA,” says Mr. Szerbaty. “No two projects are the same, and we thrive on the variety and challenges to provide innovative solutions within what are typically highly restrictive urban conditions.